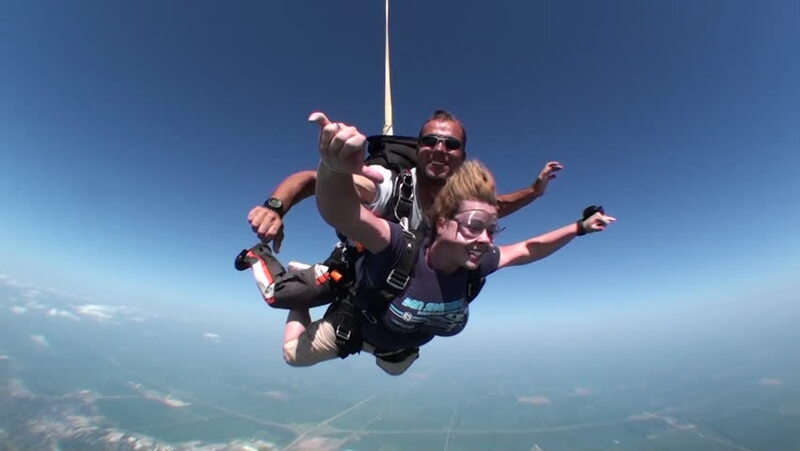 CHICAGO, ILLINOIS- CIRCA MAY, 2012: Young woman skydives with instructor. hd00:23Skydiving. Two men arein a tandem jump. hd00:14Skydiving. Cameraman is making film about tandem jumping. hd00:24Tandem skydiving until opening the parachute.